British Prime Minister Theresa May formally asked the EU on Wednesday (20 March) for an extension of the Brexit date until 30 June. In response, however, European Commission President Jean-Claude Juncker warned May that Brexit needs to be completed before 23 May, or the UK will have to hold European elections. May’s long-awaited letter reached European Council President Donald Tusk and other EU leaders in the early afternoon of Wednesday, just as officials were beginning to doubt the utility of discussing Brexit at the 21-22 March summit. In her letter to Tusk, May said that she was “confident” that UK lawmakers would ratify the Withdrawal Agreement. The letter implied that UK MPs will still face a binary choice between accepting the Withdrawal Agreement and a ‘no deal’ scenario. An extension longer than three months, she wrote, would oblige the UK to hold European elections. 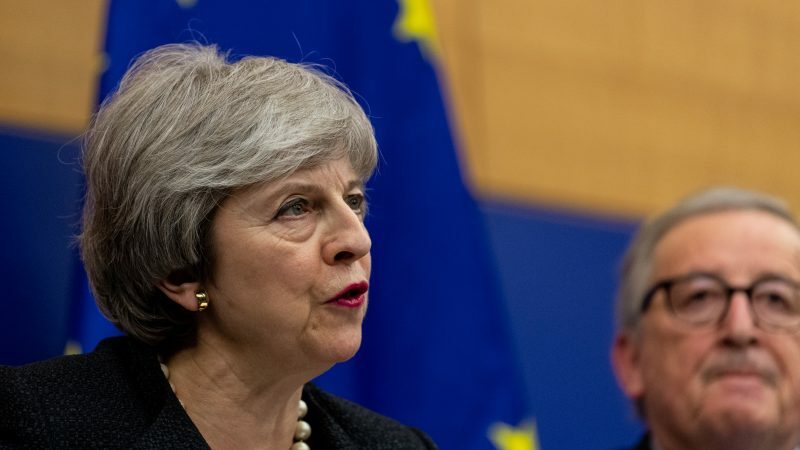 In addition to the extension, May has asked EU leaders to approve the supplementary documents agreed by her and Juncker in Strasbourg on 11 March. 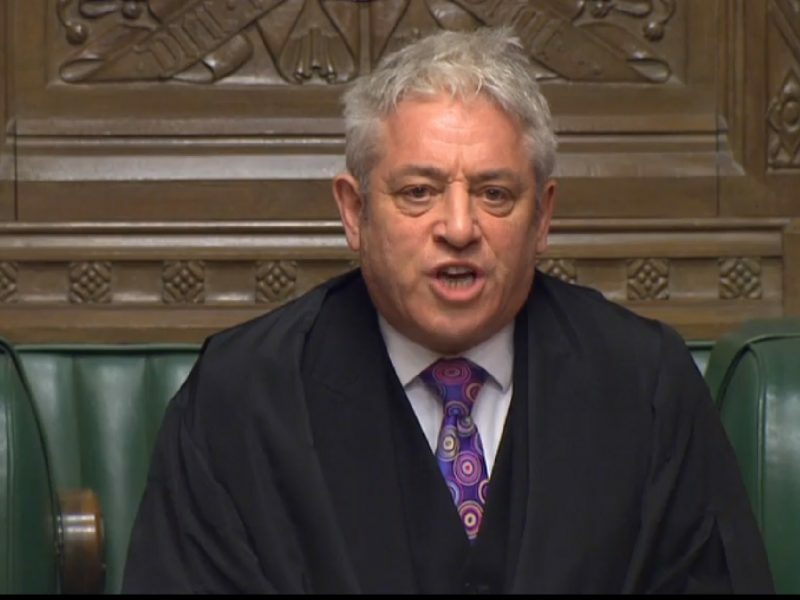 May had intended to hold a third ‘meaningful vote’ earlier this week, but the Speaker of the House of Commons, John Bercow, issued an unexpected ruling that MPs could not be asked to vote again on the same deal in a session of parliament. In her letter, May stated that her intention remains to bring the Brexit deal back to the House, and that she will put to the vote her agreement as ratified by the EU summit, and also “domestic proposals that confirm my previous commitments to protect our internal market, given the concerns expressed about the backstop”. A longer extension than three months would see “this House spending yet more hours contemplating its navel on Europe,” she said. “This House has indulged itself on Europe for too long. They (the British people) deserve better than this House has given them,” said May. In the meantime, UK ministers are expected to table secondary legislation in the coming days that would delay the date of its EU exit. 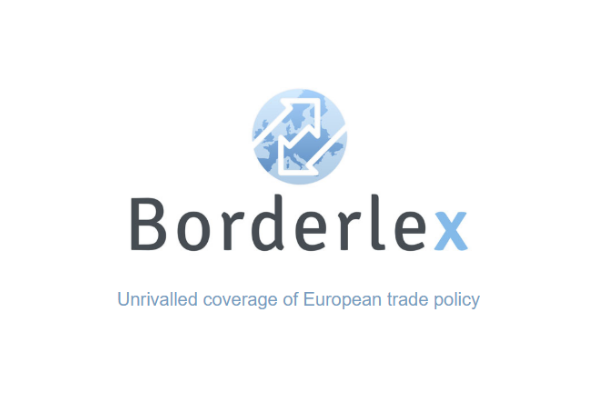 However, Mina Andreeva, a spokesperson for Juncker, tweeted that the Commission boss had warned May against an extension beyond 23 May. Across the EU, European elections will be held between 23 and 26 May. “Brexit has to be complete before 23 May – otherwise EU elections have to be held in the UK,” Andreeva quoted her boss as saying. Downing Street officials revealed that after sending her letter, the prime minister phoned Juncker to update him on the latest developments and consulted him on how to address the European Council on Thursday.
.@JunckerEU thinks it is good that @theresa_may sets out her thoughts ahead of #EUCO; warned her in phone call against including a date for the extension that is after #EUelections2019. #Brexit has to be complete before 23 May – otherwise #EUelections2019 have to be held in UK. If the UK is still an EU member at the time of the European elections but doesn’t hold a national vote, there is a legal risk that all decisions of the next European Parliament could be challenged in court as invalid. The main UK political parties are understood to have contingency plans in place to quickly select a slate of European elections candidates. The initial reaction of EU diplomats with whom EURACTIV spoke was that they would look “positively” into May’s requests. Having briefly looked at May’s letter, one diplomat said, even prior to Juncker’s reaction, that he would prefer a Brexit date before 23 May. Other diplomats expressed relief that May didn’t ask for a longer extension, which would pose many more risks for the EU. A short extension that would allow the UK to ratify the withdrawal agreement is the preferred option for most of the member states. Asked on whether the EU might then counter May’s request, diplomatic sources said that was not a matter “for bargaining” and was confident the issue could be solved in a few days or weeks in London. “We are quite consumed by Brexit,” a diplomat confessed. After meeting European Affairs ministers on Tuesday (19 March), the EU’s chief Brexit negotiator Michael Barnier warned that the UK needed to come up with a plan so that even after an extension “we are not in the same situation again” in a few months. Having said in the House of Commons 108 times that the UK will be leaving the EU on 29th March, it is just possible that what she says should be taken with the proverbial pinch of salt. Maybe Mr Macron can do us all a favour by refusing an extension to Art50 and let us go. My personal and Barnier-inspired boycott of French imports is getting to be a struggle. Cheese especially. A reason to end it would be good. Sort of like a second referendum. A shed load of Nigel Faragesque MEPs from the UK may not be helpful to the advance of the Project. When the UK Parliament can vote on an issue multiple times (after some amendments), why can’t the public? Asking for an extension was inevitable. On this the PM was defeated. However, she seems to speak one language to the Commons and the other to the EU. 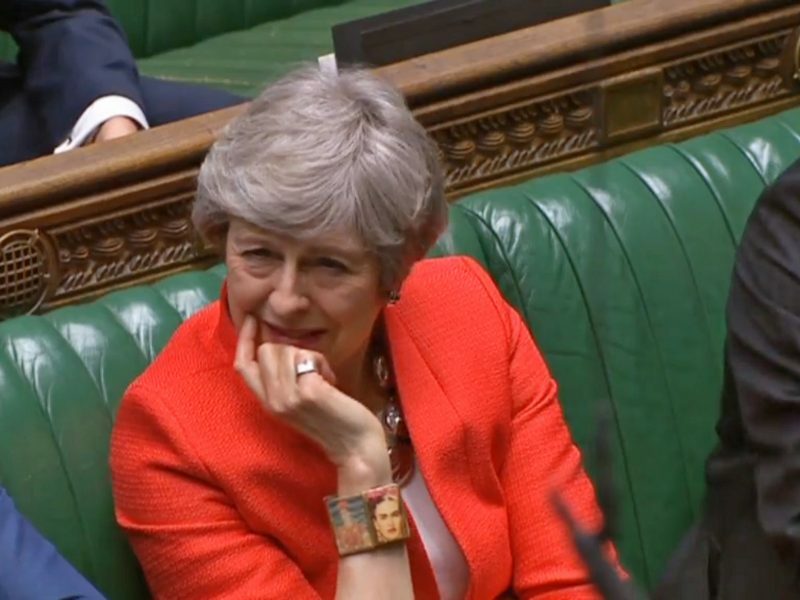 How could she be so confident that the deal she negotiated will get through the Commons, Anybody following what is happening in the Commons will have doubts somehow of her getting what she wants. Why does she not be honest? She does not want to admit that she is part of the problem. She cannot afford to back down voluntarily as it would mean she failed. She wants to save her face till the end so to speak of this saga. The EU with its self-interest cannot also allow this saga to drag but rather be ready for no deal.